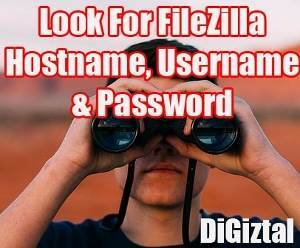 Find out how to retrieve lost or forgotten FileZilla username, hostname and password. I hardly use the free FTP (File Transfer Protocol) Filezilla when I make changes or upload any file into my root directory (in your web server account). I just log in directly to Bluehost, click "File Manager" and get onto the site folders and files. The other day I decided to use this file transfer protocol tool and I realized I had forgotten my username and password. After checking a few sources, I managed to retrieve them. 1. Open your browser and click the Windows logo (Start) at the left hand bottom corner of your PC screen. 2. Then click on "Computer". 3. Double click on "OS (C:)" under Hard Disk Drives. 4. Now scroll down and look for Users. 5. Double click on it. Next look for your username. 6. Then double click on your username. 7. Next look for AppData. 8. Double click on AppData. 9. Then look for Roaming. 10. Double click on Roaming. 12. Double click on FileZilla. 14. Then right click on "sitemanager.xml". 15. Select "Open with". Click on "Notepad" or "WordPad". <host> is your host name. Note: The password is base64 encoded. You need to decode it. 1. 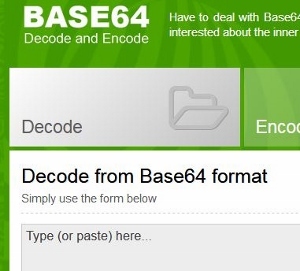 You go to Base64 Decode. 2. Paste the password you copied from the NotePad or WordPad in the box in the empty box provided. 3. Then click the green color "DECODE" button. 4. Once it is done, you scroll down the page and you can see the actual password in the box.